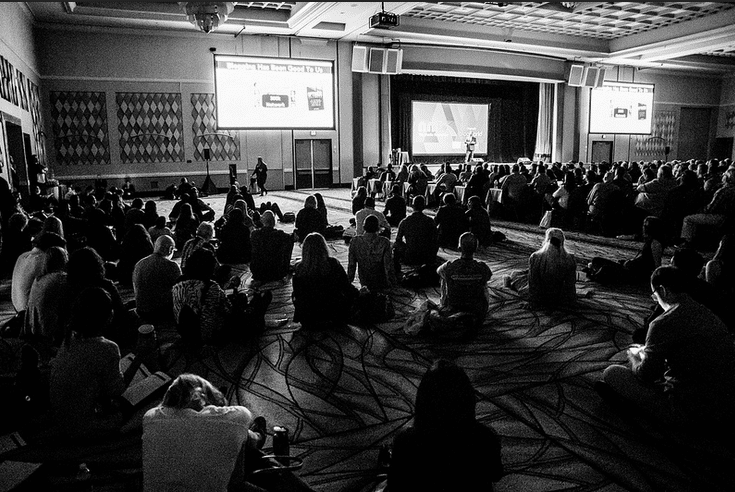 We are so pleased to announce that early bird registration is now open for NMX 2016. We’re especially excited because we’re planning our best conference for content creators yet, with brand new activities and events to be announced. Sessions of interest to bloggers, podcasters, and video producers: Our focus for 2016 is clear – sessions designed to inspire content creators to take their content to a new level. Moving forward, NMX sessions are less business and “influencer” oriented, so we can commit to providing the best sessions on content creation, distribution, and monetization. More networking: Whether it’s the hallways, Expo floor, New Media Lounge, parties, or red carpet events, we’ll have more opportunities for you to network in 2016. Red carpet events for ALL content creators: Bloggers, podcasters, and web TV producers all have an opportunity to get out their creative formal attire for some very special events. Introducing the 2016 Blogger Ball! We will share more details in the upcoming weeks, but the 2016 Blogger Ball promises to be a gala event. VIP access: VIP ticket holders continue to receive priority seating at all keynotes and red carpet events as well as sessions and parties. The New Media Lounge: In addition to hosting networking and meetups, the New Media Lounge is also a place for networking, working, and relaxing. NMX Expo Floor: The NMX Expo floor will continue to showcase the very best tools, services, and technology of interest to all new media content creators. We rely on feedback from NMX attendees so we can improve. Today, I’d like to invite you all to participate in a brief survey that will tell us more about who you are, why you attend NMX, and what you would most like to see at NMX 2016. Please click here to take the survey. We are so grateful for your feedback. Since announcing NMX 2016 we received many inquiries as to when we will open for speaker proposals. We’re happy to announce that we’re opening the call for speakers next week. If you want to get started early and think about topics to propose, please make sure they are geared towards all new media content creators, and not businesses, brands, or influencers. Please don’t email me early with your proposal, we’ll have a form to share next week and we want to be fair and give all applicants the same consideration. Thanks! Passes for NMX 2016 are currently offered at the lowest rate. However, they won’t stay at this rate for long. Register today to take advantage advantage of super low prices! Are you attending NMX? Click here to send us a tweet so we can give you a shout out!